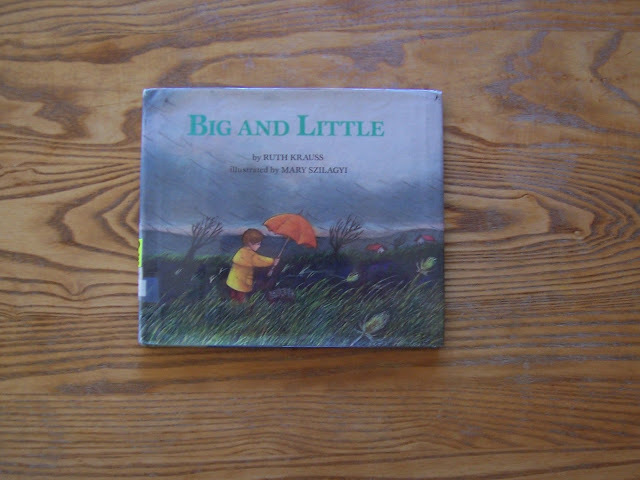 What is a Montessori-friendly picture book? It is a fiction or non-fiction book (typically for three to six-year-olds) that introduces young children to the real world in all its variations (and not adult-created fantasy). From these realistic variations, children can use their own imagination and creativity. Each week I spend a half-hour or so at the library looking for children's picture books to read to my son. As a child, I loved going to the local library and picking out an armful of books to take home! I thought, why not share my favorite library picks with you! Ebb and Flo and the Baby Seal (above) by Jane Simmons: On a rainy day, Ebb the dog wants someone to play with but everyone is busy. 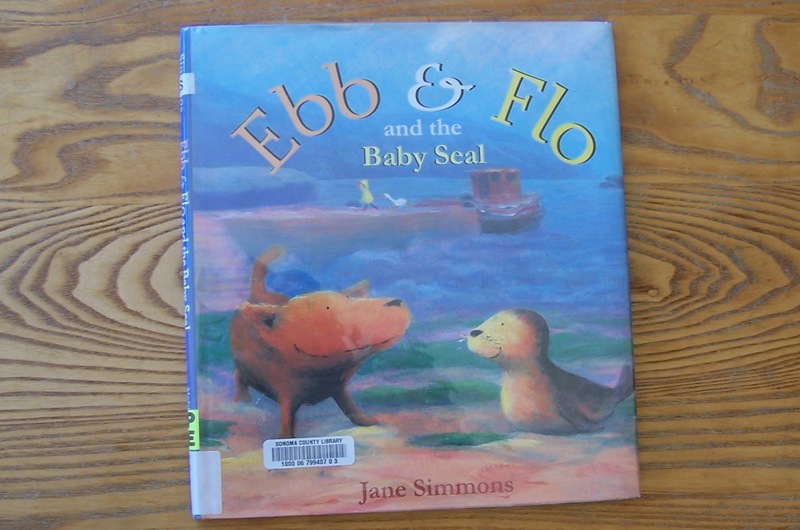 Then Ebb hears a strange cry and goes out to discover a baby seal all alone on the beach...find out what happens next! I loved the artwork: bright, colorful, and realistic (not cartoonish). Classroom homeschool themes: friendship, nature. 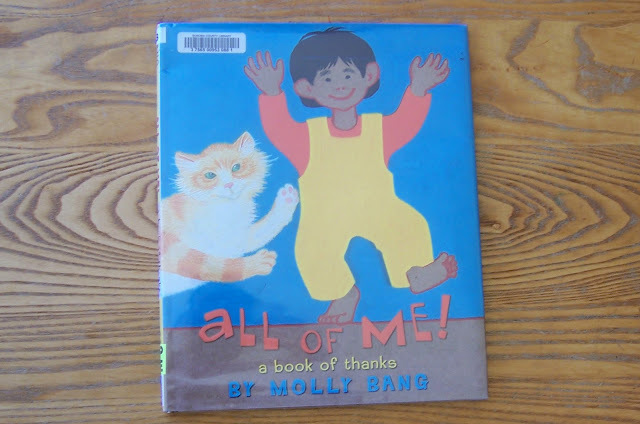 All of Me: a book of thanks by Molly Bang: a little boy gives thanks for the simplest things, his hands, his feet, and even his feelings. Lovely artwork, too--bold colors and mixed media. Classroom homeschool themes: body awareness, self. 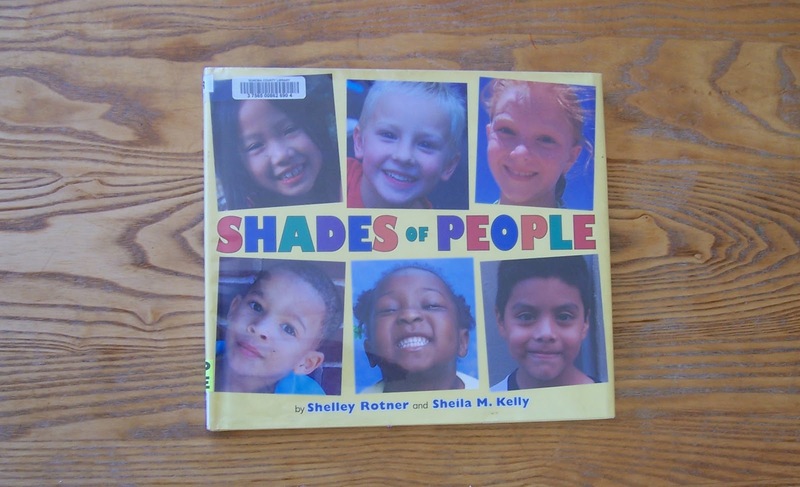 Shades of People by Shelley Rotner and Sheila M. Kelly: a book of beautiful photos of children and their families and friends--each with different skin colors such as copper, almond, and rose! Classroom homeschool themes: body awareness, people, skin color. 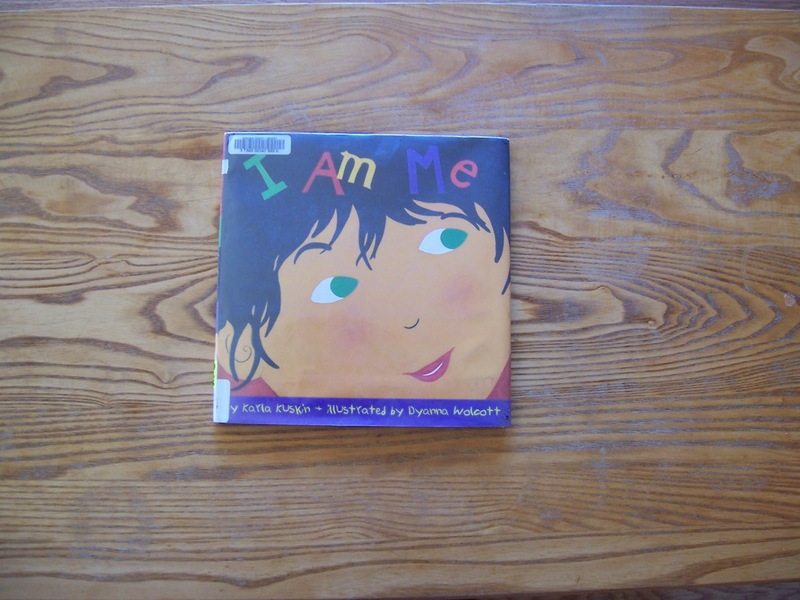 I AM ME by Karla Kustin, a lovely book that depicts the various features of a little girl from each member of her family. Classroom homeschool themes: body awareness, family. 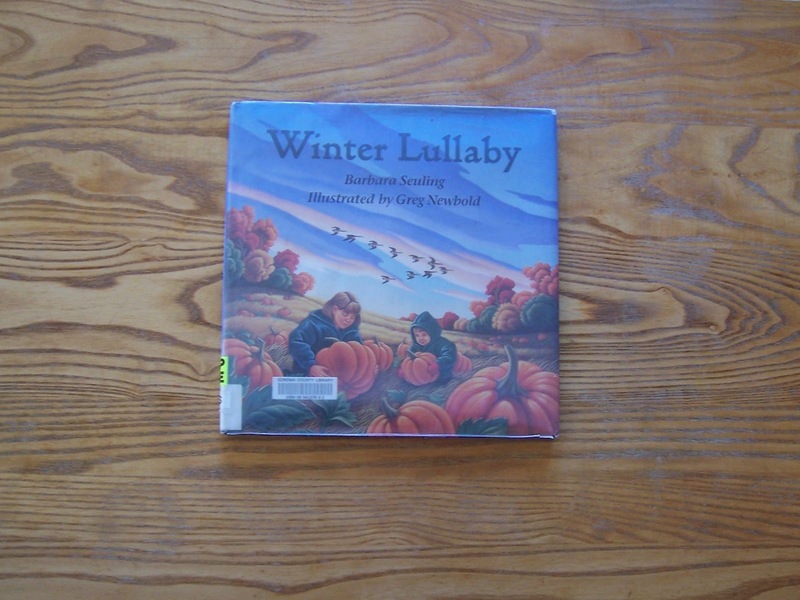 WINTER LULLABY by Barbara Seuling. Picturesque story told in verse about the coming of winter in rural settings; and where do all the creatures go?! Classroom homeschool themes: seasons/winter, nature. 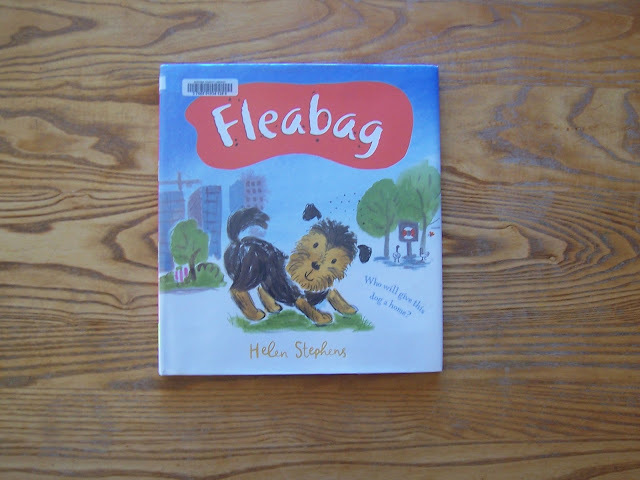 FLEABAG by Helen Stephens is the heartwarming story of a dog without a boy, a boy without a dog (and whose mom is very busy with a new baby and doesn't like flea-bitten dogs around!). Find out what happens! Classroom homeschool themes: pets, dogs. BIG AND LITTLE (by Ruth Krauss) is a poem about "big things and little things" including a big sister and her little brother! Classroom homeschool themes: family, big/small. 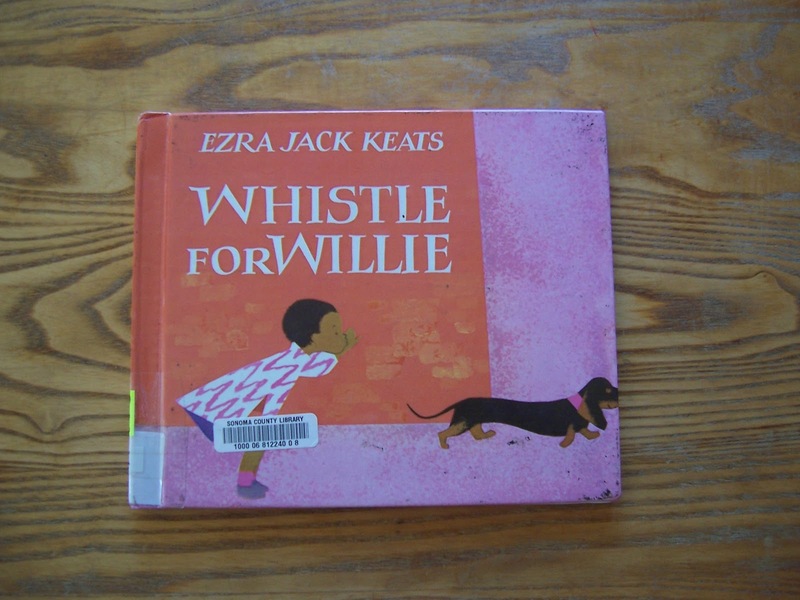 WHISTLE FOR WILLIE written and illustrated by Ezra Jack Keats. A favorite and a classic, first published in 1964, about a little boy who can't whistle! Yet! Classroom homeschool themes: learning to whistle, practice. NIGHT IN THE COUNTRY by Cynthia Rylant. What happens in the country when the sun goes down? What do you see? What do you hear? 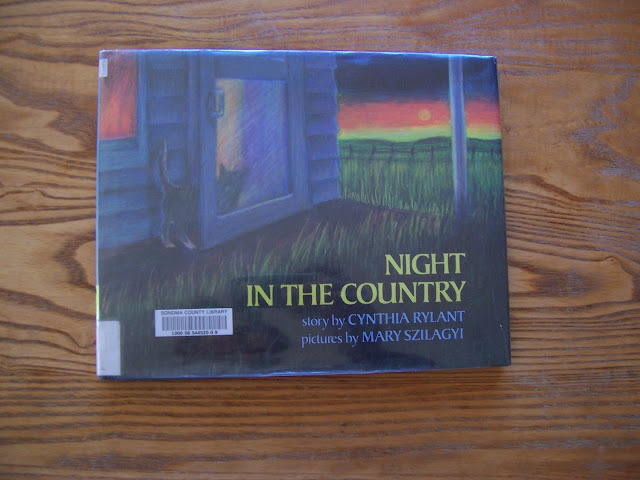 Classroom homeschool themes: night/day, neighborhood, nature. ONE WORLD, ONE DAY by Barbara Kerley (a former Peace Corp volunteer who has created eight other books) is one of my favorites. It shows children and families all over the world doing every day activities. A great choice for Montessori's Peoples of the World, as well as The Needs of Man, activities. 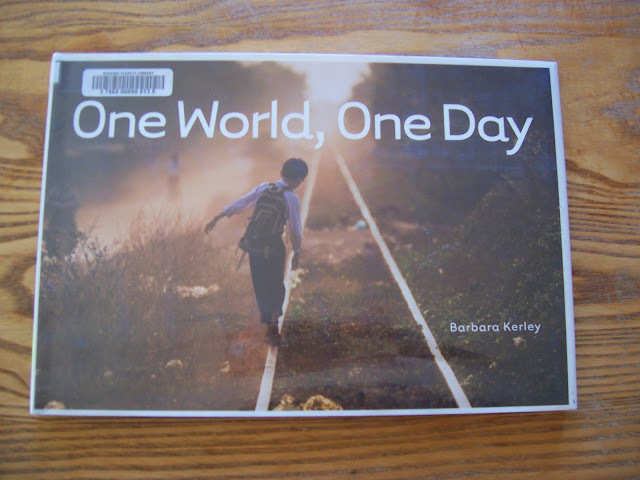 Classroom homeschool themes: different cultures, People of the World. Read more about these books, including examples of the illustrations, ideas for classroom or homeschool themes, and dozens more books in my Montessori online picture gallery! Search for these books in your local library, bookstore, or used on Amazon.com! 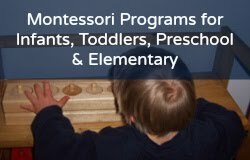 And visit Living Montessori Now's blog post Montessori-Inspired Ideas for Enjoying Books with Your Children! There is also a wonderful list of Montessori friendly fall picture books for ages 4 to 6 here at Goodreads (you can vote on your favorite book, too! ).